How to Raise Your Vibration – 9 Fun Ideas That Work! The hairdresser accidentally dyed her hair light pink rather than platinum blonde? Oh well, Lindsay says, it’s almost Valentine’s Day anyways and it’s kinda pretty! The barista screwed up her drink order? Cool! This is a great opportunity to try something new. She dumps said new drink on her blouse? Hmm… perfect excuse to go shopping! Lindsay’s positive attitude never goes unnoticed. In fact, she seems to be a magnet for good outcomes! The hairdresser may give her free color protectant shampoo, the barista may give her a gift card, and the store owner may pull just the right top from the back room for her. Everywhere Lindsay goes, she witnesses seemingly happy coincidences and lucky breaks. However, while they may seem random, Lindsay is actually attracting those good fortunes! What is a High Vibration? She has a high vibration! And don’t worry – you can learn how to raise your vibration, too! Everything in this world is made up of energy. Yep. You, me, Sandra Bullock and your neighbor’s dog. The spiritual law of the Universe says that like energy attracts like energy — high attracts high (good) and low attracts low (bad). This is why you see Mark Wahlberg in like every. single. movie. The guy has attuned his energy to such a high vibration that he “attracts” role after role after role. If you’ve never seen his TV show Walburgers on A&E, I suggest you watch a couple of episodes. Take notice of the way Mark talks and thinks – I’m telling ya, he’s a high-vibe maestro! So the positive feelings and vibes Lindsay is throwing, are always returned to her. She has come to expect the best outcome because she has trust and faith that the Universe has her back. Learning how to raise your vibration is much more than grinning and saying what you think you should say. It’s a deep, genuine feeling of joy, harmony, and gratitude. In light of this information, you’re itching for a sparkly high vibe too, right? 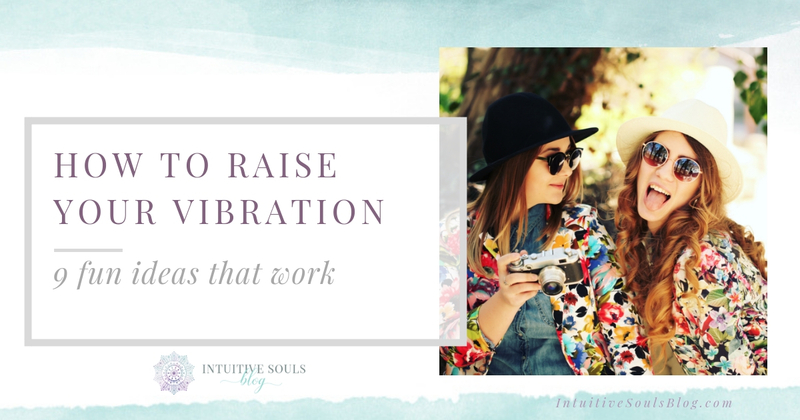 “Raising your vibration” may sound mystic, but it’s actually a super natural thing to do! In time, you’ll KNOW when your vibration is high or low – and what things raise or lower it. You know that one song that you always listen to while you’re getting ready for a gal’s night? It gets you singing into your hairbrush and grinning ear-to-ear as you pull on your heels? That song raises your vibration! Or how about that feeling of joy that comes over you when you think about that last holiday? Grandpa was joking around about something or other, grandma was nodding and laughing at her 40+ year life partner… the kids were playing with their toys… and dinner was almost ready? That immense happy feeling raised your vibration. In order to know how to raise your vibration, you need to connect with yourself and understand what makes you feel that high. Tip: If that’s a little abstract, think about what puts you in a good mood (like Ellen TV). Good = high vibe. Music is a near-instant way to change how you’re feeling. Make a playlist of songs that you know make you feel upbeat and feeling joyful. Indulge in some self-care, like a bubble bath, pedicure, or massage. While you’re receiving the care, think of how blessed you are that this is possible. Feel gratitude for the hot water and the bubbles! Or, feel gratitude for the adorable shoes you slip into after your pedicure! Tip: Try a guided meditation that suggests you focus on love and light. Or a meditation intended to bring up feelings of gratitude or joy. Once you’re done, hold on to the feeling you have! Journal about it and get familiar with it. List 25-50 things you’re thankful for right now. Then, spend some time feeling truly blessed and grateful. Tip: It is super powerful if you do this at least once or twice a week! As you cook (or order take-out, no judgement here! ), think about how wonderful it is that you get to have fresh veggies or fruit (or chocolate cake or hot pizza!). If it makes you happy, invite friends or family over. Be grateful for their company. Think about an all time favorite memory with a friend or family member that you love. Those positive thoughts will bring you back to the same, high vibration that you were in when you were with them. You can also do something for someone else. That old saying, “it’s better to give than to receive” didn’t get famous for no reason! Help an elderly neighbor out, bring treats into work, or send a friend a random “thanks for being awesome” gift. The written word is SO powerful! And I cannot tell you how journaling can raise your vibration. For raising your vibe with journaling, DON’T, for the love of all things green, write out all of your problems. Instead… flip the script. Journal all about how amaze-balls life will be when you achieve X goal. Write it in the present tense. (This is key!) For example, let’s say one of your goals is to develop your psychic abilities. Write: “I am so happy and grateful now that my psychic abilities are developing!” or “I am having so much fun developing my psychic gifts!”… and FEEL the joyful emotion of what you are writing. Once you’ve discovered what makes you feel SUPER happy – you’ve taken the first step at uncovering how to raise your vibration! NATURAL & QUALIFIED MASTER PSYCHIC HEALER, specializing in readings and SOUL CLEARINGS, where we energetically clear up negative programming so you can THRIVE in you relationships, money, career, business, health and spiritual matters. GET YOUR BLOCKS REMOVED SO YOU CAN LIVE YOUR TRUE POTENTIAL AND ACHIEVE YOUR GOALS AND DESIRES. WELCOME! YOU HAVE ARRIVED AT THE RIGHT PLACE! MY NAME IS SEHEREZÁDÉ AND IM HERE TO HELP YOU! Ever since I was a young girl, I knew I was different. I felt emotions that others did not and first correctly predicted a death at the tender age of 10. My natural gifts only grew stronger with time and in-depth study.I believe that we are in control of our own path and destiny . I’m a qualified Astrologer and Tarot reader. I started studying Tarot in 1992 and I also completed a 4 year school of Astrology at the Baktay Ervin Institute of Astrology, Budapest, Hungary in 1997.Apart of Tarot and Astrology, I keep on paying particular importance to my dreams. Working with their images is an endless source of creativity, inspiration, energy. 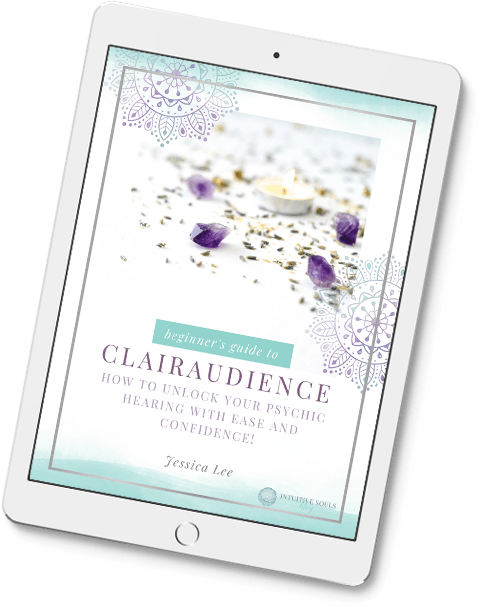 I wrote a book to help you get comfortable with your psychic gifts. I'd love to give you a copy! Please drop your name and email below for free instant access. Want More Great FREE Content Like This? Enter your name and email below to get my eBook 7 Real World Steps to Embracing Your Intuitive Gifts. It's totally FREE! Plus, I'll stay in touch with insider tips and updates available ONLY to members of my community.